Last Week Extremist Pastor Terry Jones From American State Florida burnt the Holy Quran along with some other Pastors in his Church. Muslim World has strongly reacted to this open act of terrorism by Terry Jones. On Friday Muslims in different parts of the World done protests against Act of American Pastors. Biggest Protests taken place in Pakistan. The Protests Demanded American Government to arrest Terry Jones and Punish him. Officials of Different Muslim Countries have demanded for Trail of Terry Jones and his other friends who where Involve in Quran Burning. 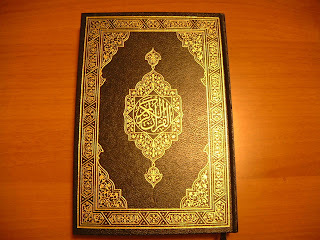 Pakistani President Asif Zardari, Turkish President Abdullah Gul and Iranian Ambassador in US has demanded the United Nation to take action against those who burnt the Holy Quran. Such act of terrorism has also taken place in the past in US and other Western Countries to hurt the feelings of Muslims.